Driving along North Central Street in Knoxville, away from the heart of Tennessee’s third-largest city, reassurances that you will eventually end up somewhere good are few and far between; the further you go, the less glamorous your surroundings, not that there was much to write home about in the first place. Save for the occasional proof of life—a busy food co-op, an intriguing vintage store, an appealing old drive-in called The Original Freezo, the strip is mostly windowless light industrial, vacant lots, garish billboards on big poles and the occasional single-family, some in advanced states of disrepair, looking a bit like , and certainly just as bewildered by their surroundings. The first time I made the trek, after a morning of exploring the heart of the city on foot, I found myself slightly bewildered, as well—apparently, there was a very good bakery up here, somewhere, and I’d drive pretty much anywhere for a decent croissant, even Knoxville, but as blocks turned into what felt like miles, it seemed a near-certainty I was headed in the wrong direction. Then, quite suddenly, there was the , and the place was full of people, in the middle of the afternoon, hanging around, nibbling at pastry and downing cappuccinos, like they had no place else to be. I was curious, to say the least. 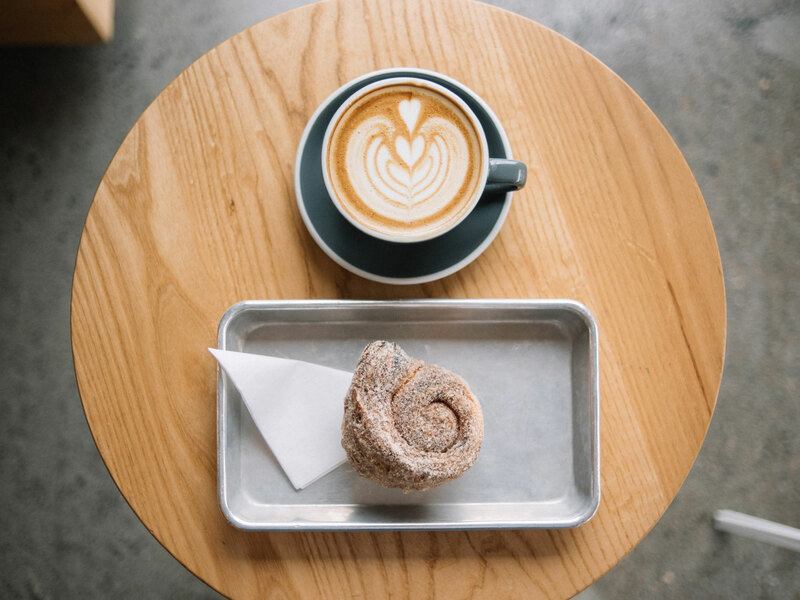 After walking into countless bakeries and coffee shops over the years, the things we do to earn a living, walking into this one, I knew I had not been steered wrong. On this grayest of days, the place was practically glowing, all clean lines, bright, elegant, quite obviously designed to make everybody walking through the door look and feel that much prettier. The atmosphere was welcoming, cheerful. The carefully curated selection of baked goods could not have been more up-to-the-minute, and the croissant was exactly as it should have been, better than many you might try in more fashionable cities that are supposed to know better, and the people working the counter were clearly not only passionate about their work, but also extremely friendly, and I knew right then that I would never drive past Knoxville in a hurry, ever again. At the very least, I will stop long enough to buy all of the viennoiserie in sight. Twenty years of traveling to and through the city, and never quite warming to the place—that’s over, I think. Sometimes, the only thing standing between ambivalence and true love is a good croissant. There are plenty of exceedingly popular destinations in Tennessee; Knoxville is not one of them. This is entirely understandable, because imagine you have traveled from another part of the country, you are likely here with a long list of things to do—why would you waste a minute on a town with almost zero name recognition? Barely an hour away, and you are in the Smoky Mountains, home to the country’s most visited national park, you are riding the roller coasters and eating all of the cinnamon bread at Dollywood. Nashville, that shameless attention-seeker, is barely three hours down the highway, while Chattanooga, by now a well-oiled tourism machine, is roughly half that. Knoxville has a lot to compete against; most of the time, and can you blame them, it feels like they don’t even try. Southerners are most likely well aware of the city’s status as a university town, but for many Americans, Knoxville remains a blank. This is unfortunate. Knoxville is a charming place, if in years past somewhat forlorn. Walking the narrow streets and alleys and squares and parks of the downtown, you will quickly gather that you are in a city that has been around a pretty long time, a city that was designed rather well, actually, and then sort of left to twist in the wind, like too many other American cities—during much of the last century, even at times when much of the country was doing just fine, Knoxville seemed to be taking it on the chin, economically. With the exception of its big moment back in the ’80’s, when the city hosted the World’s Fair (yes, the Sunsphere still stands, that ancient Simpsons episode was a lie), you probably didn’t need to pay a ton of attention to a town like this, and really, when you look at the way the city tends to sprawl away from itself—quite far, actually, for a region where real estate doesn’t cost all that much—it would appear that Knoxville has not always been all that much in love with Knoxville, so why are the rest of us supposed to care? Never mind all that, really, it is time to leave the past in the past; walk around downtown Knoxville today, and you will find yourself impressed, most likely, by its classic scale, by the handsome architecture, by the look and feel of the streets, by Market Square, lined, European-style, with so many bars and restaurants. While there is still plenty of room for downtown to grow, there have been so many little tweaks over time, little upgrades, alerting you to the fact that the city is clearly making an effort—a back alley has become a canvas for an evolving collection of street art, there's a food truck park, new housing right in the middle of town, a sparkling, modern coffee shop—and that it is looking toward the future. 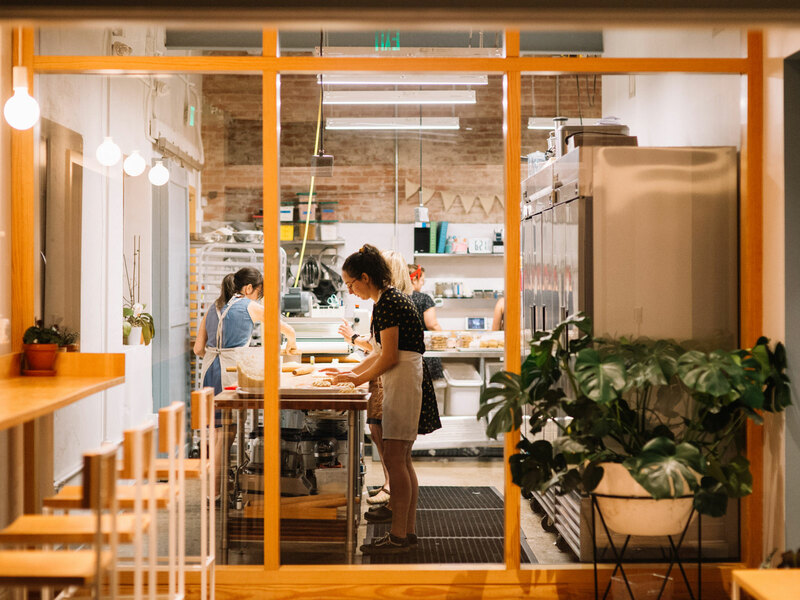 Never mind the other, more famous cities and places in the region, for a minute; Knoxville’s understated cool is a welcome diversion, something slightly different from what you will find anywhere else in these parts. With the city so close to so much else, with its strategic location, directly along along the very busy north-south route ferrying so many I-95-avoiding travelers to points beyond, there’s no reason—not anymore—why Knoxville should escape the attention of anyone coming to or through this part of the world. Slow down, at least for a while, at least for as long as it takes to eat one of those croissants. They’re extremely good. Once you arrive, there’s plenty more to see, and to eat, and to drink—here’s something of a blueprint for one very memorable day in town. Knoxville goes pretty far back, but most of it not as far as the Old City district; come down here and acquaint yourself with Jeff DeAlejandro’s compelling Mexican-Southern morning menu, supported by particularly good local and regional ingredients. 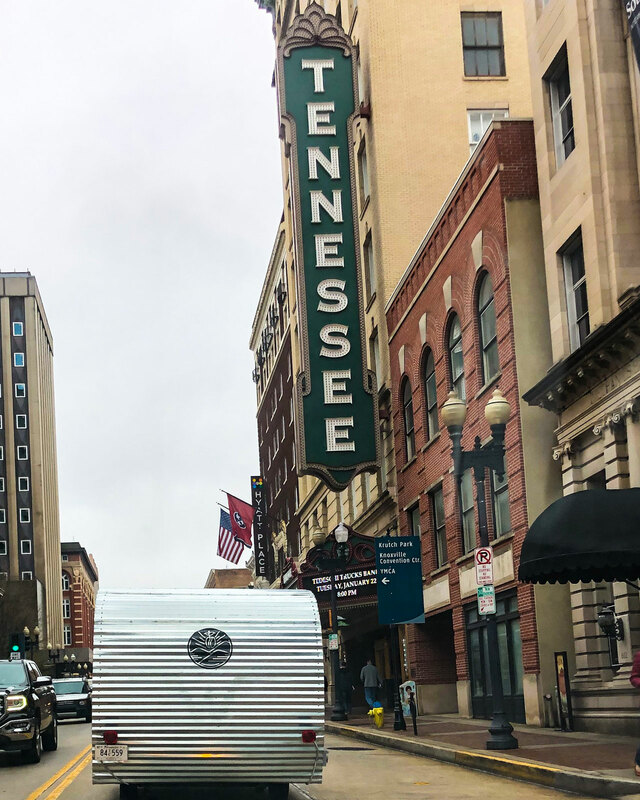 There are plenty of coffee shops in Knoxville, but one of the best—Brynn Coffee Co., which is also roasting their own beans—operates out of a 1970’s Winnebago, which you can track through their Instagram; if you’re not so much into chasing, and prefer your coffee shops to stand still, there’s Pearl on Union right downtown (owned by the couple behind Wild Love Bakehouse), and Remedy Coffee, on the same downtown-adjacent street where you’ll find Paysan. Yassin Terou came to the United States from Syria in 2011, and in almost no time at all, Terou went from asylum seeker to one of the city’s favorite restaurateurs. Yassin’s Falafel House now serves out of two locations; this is easily one of the city’s most well-liked lunch destinations. Terou has been something of an ambassador for brand Knoxville, even making quite the splash in the national press, not long ago. One thing Knoxville isn’t short on—breweries. If pressed for time, best to seek out the services of a talented curator—the Bearden Beer Market, a short drive away downtown, is one of those excellent shops that encourages drinking on premises, and not only just a little; this is one of the nicest beer gardens in the city. On top of all the other distractions in the area, Knoxville is a short drive from one of the South’s most exclusive small resorts, Blackberry Farm. A couple of years back now, the hotel's executive chef at the time, Joseph Lenn, packed his knives and moved into town, in a very big way—there’s no formal restaurant in Knoxville quite so up-to-date as this downtown dinner destination, where a mod-Southern menu of snacks and small plates (well, small-ish) make a great case for an extended cocktail and wine hour. Note: Visiting hopheads in search of the well-regarded Blackberry Farm-brewed beers will easily find them here. Brian Strutz is another Blackberry Farm graduate bringing his considerable talents to the city, and while A Dopo, his simple for wood-fired sourdough pies—with honest sides of local veg and an assortment of house made gelatos—may not give off the most elegant vibe (the industrial surrounds, and the roar of I-40 overhead may have something to do with this), you’re definitely in the right place for a dinner to remember. After a day of eating and drinking your way around Knoxville, you will likely have heard mention, perhaps more than once, of , which supplies the region with some of the best milk / milk-related product around. This includes ice cream, and there's no leaving town until you try some of the best (and most creatively flavored) soft-serve in the country. There’s a downtown shop now, if you can’t make it out to the East Knoxville flagship. I Tried To Eat Everything at Dollywood in One Day. Here's How That Went.